Giving your home a new coat of paint is one of the easiest ways to upgrade it. New paint will easily give your living spaces a premium feel depending on several factors. These include the products, techniques, and professionals hired for the painting project. For homeowners aiming at putting their home up for sale, this may be the key to getting more value from the sale. Although painting projects require specialized attention and care, many homeowners will take unwarranted shortcuts. These shortcuts are taken in the name of cutting costs but will end up doing more harm than good. 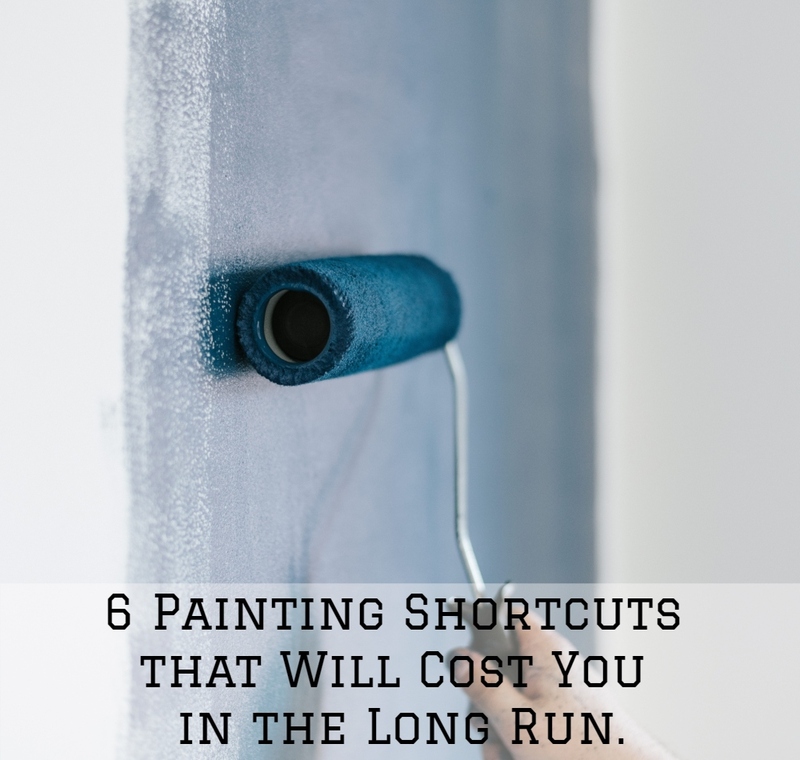 In this article, we highlight six painting shortcuts that will actually cost you more in the long run. Surface preparation is the key to a high-quality paint finish. It involves a lot of work that you may be tempted to skip. This includes pressure washing on exterior surfaces, sanding the walls and masking the windows, moldings, and baseboards. Skipping these steps will lead to the application of paint on dirty surfaces leading to a substandard finish. This will heavily cost you. All the paint and hours put in the projects will eventually go to waste. Applying a Single Coat of Paint. This is a common shortcut when a huge project is involved. Trying to cover it all in one coat will lead to a tragic finish. A single coat will most often than not result in a transparent finish. The main goal of painting is to give a surface a flatteringly even finish, this can never be achieved with a single coat of paint. Applying several coats will, therefore, give you that smooth desirable finish. This will take longer, but it will be worth your while. Purchasing cheap paints might seem like a money-saving idea. However, cheap paints are low in quality and will hardly meet your standards. In most cases, quality paint will remain in good conditions for several years. Inferior products will, however, break apart within a short time after application. Paint cracking, fading and peeling off will be noted in no time, and you might be forced to repeat the entire painting process. Paint is meant to be prepared before application. Opening the can and dipping in your brush or roller right away may save you some minutes but will lead to an undesirable finish. Paint should be thoroughly mixed to ensure consistency before application. If it feels too thick, thinning is recommended. Taking time to read instructions on the can will also guarantee positive results. Avoiding this procedure will see lumps and inconsistency throughout your work. Hiring Cheap or Inexperienced Painters. Painting is an affordable project, but not necessarily cheap. Cheap painting quotations should, therefore, raise a red flag. You might think you’re saving some money by hunting for the cheapest quote in town. However, the best value for your money won’t come from the cheapest painter on your list. The fact that they’re the cheapest might mean that they have cut some corners to get to that temptingly low figure. Painting a New Coat Over Partially Dry Paint. Painting projects take time to complete. Some DIY enthusiasts are tempted to apply subsequent coats on partially dry paint. Not only will this increase the time paint takes to dry, but it will also lead to messy and uneven surfaces. Partially dry paint will easily get scraped as you apply the new coat. Brush marks will also be left on the walls leading to a wavy finish. This will cost you more as you will be forced to apply more coats or settle with the messy finish. So, take those coffee breaks and allow each coat of paint or primer to dry before moving on. Taking above shortcuts will compromise the quality of your paint job and eventually cost you more in the long run. The shortcuts described above should, therefore, be completely avoided in any painting project. This will ensure that you meet high-quality standards leaving you satisfied with the outcomes of the painting. 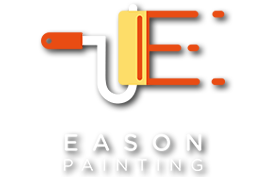 If you’re looking for a professional painting company to beat the above shortcuts, our team at Eason Painting can offer help. Our team has extensive experience offering painting services in the areas of Macomb Township, Washington Township, Ray Township, Rochester, Rochester Hills, Romeo, Armada, Troy, Shelby Township, Chesterfield, and Clinton Township, MI.